Cognoscenti Books are pleased to release the sixth volume of their continuing series ANCIENT CHIANG MAI. With twelve articles originally published in 2010, subjects covered include Ma Huan‘s ‘Back Door’ from China to Chiang Mai in 1433, Mae Chaem‘s Hidden Valley, Chiang Mai’s former Northern Ramparts, Yi Peng and Loi Patit – Lan Na’s Loi Krathong Festival in times past, Tomé Pires description of Lan Na, Burma and Siam in 1515, Wat Chiang Man, King Mangrai‘s ‘Temple of the Enduring City’ and Dr Paul Neïs’ Visit to ‘Xieng Mai’ in 1884. 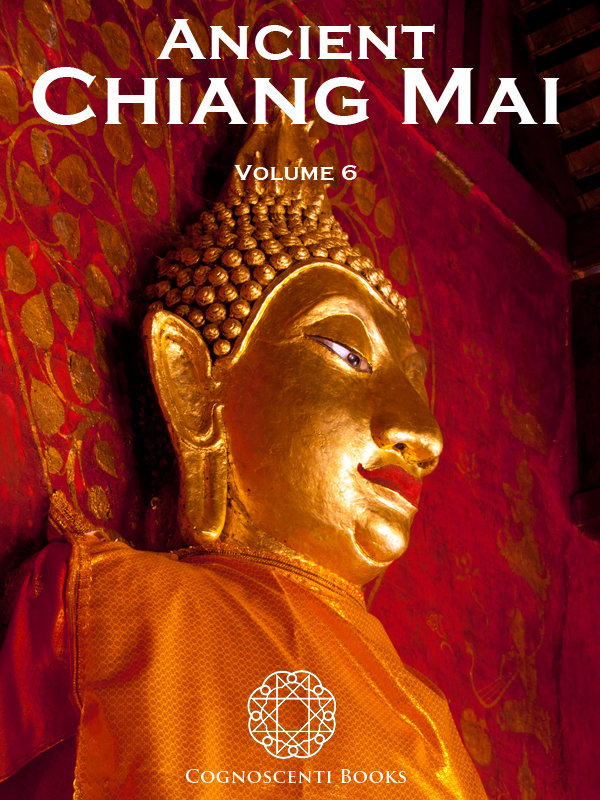 For a preview of this book, please go to: Ancient Chiang Mai – Volume 6. For a related collection of rare and colourful images, go to Pictures From History‘s Chiang Mai and the Lan Na Kingdom page and click on any of the images. Thank you Gerry. Much appreciated. We are waiting for the publishing software for the new Kindle Fire to be released, which should enable us to include lots of full colour images with the e-books. Keep in touch!